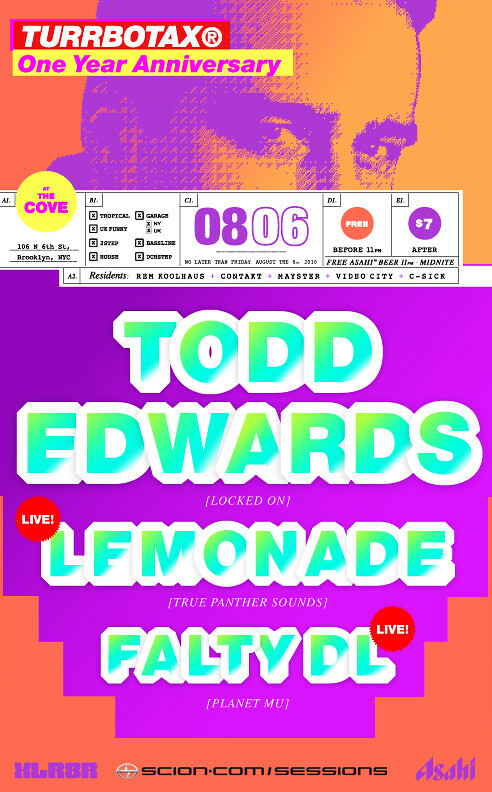 Come out and dance with us to Lemonade as they celebrate Turrbotax 1 Year Anniversary at The Cove tomorrow night! Other sick acts performing are Todd Edwards & FaltyDL. Need more reasons than awesome dance music to come out? OK fine… FREE Asahi beers from 11-12, $1 jello shots all night, FREE entry before 11pm, $5 before 12 ($7 after). Sound good? Thought so! Check out Lemonade’s video for “Big Weekend” and let’s live it up!